The IMI case studies are some of the most viewed pages on their web site. They have helped create a loyal following of online viewers. 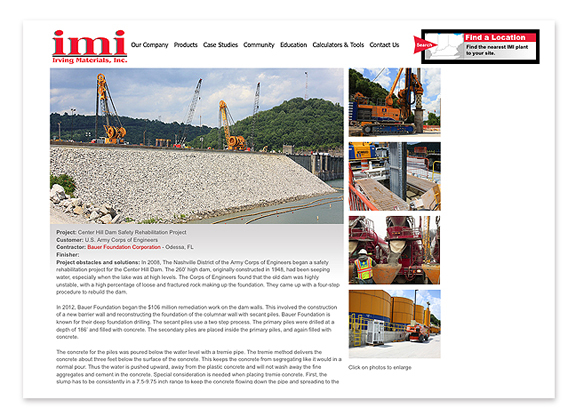 IMI is a producer of ready mix concrete. They mix and deliver concrete to the construction industry in six states. They are a leader in their industry in developing and testing new concrete to solve common construction problems. Their edge is their devotion to research and development. Therefore, it is important that they sell the quality of the product and not on price alone. We were charged with coming up with a marketing plan that sold the case for quality through content marketing. 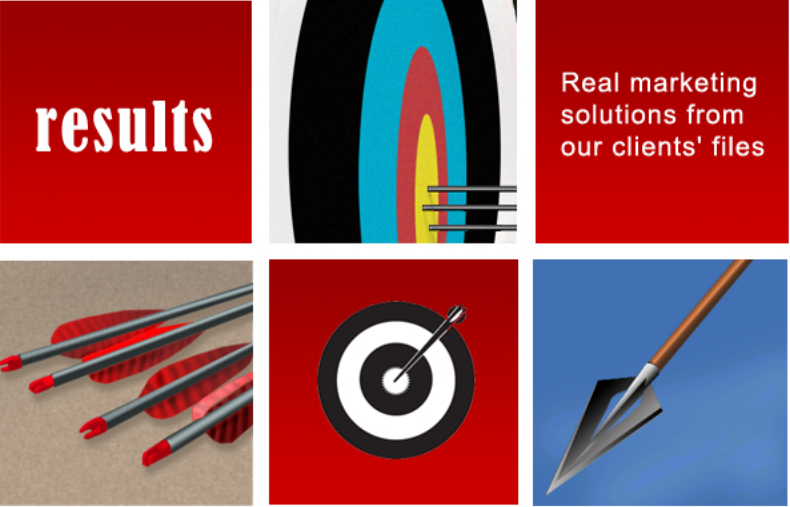 We targeted general contractors, as well as architect and engineering firms with a series of online case studies that described how using IMI products and services solved real life construction problems, sped up the construction schedule and saved the customer money. Any time you write content for a customer, you have to understand their industry. It is not only a matter of knowing what they do, but it is also imperative that you know why they go about business using certain methods and procedures. That means you have to understand their customers, the larger industry, common roadblocks and how they circumvent those problems. Otherwise, you sound like a communications idiot trying to sound smart. We have been writing case studies for IMI for over 7 years now. Writing content for IMI often takes us to construction sites with boots and hard hats as we learn the details of the job. Writing any piece of content marketing, like a blog or, in this instance, a case study that is worthy of reading is one half of the marketing equation. The other half is getting people to actually look at it. At first, we made the case studies topics of a regularly scheduled email marketing campaign. This worked very well. In the first year, viewership of the case studies increased 400% and became some of the most sought after information on their web site. This led to numerous RFPs and consultations with firms who were looking for construction solutions. However, with any campaign, the delivery method can begin to lose its appeal. We made a strategic decision to do two things that helped our reach. First, we segmented our e-blast lists better than when we first started the project. This gave us the ability to be more selective in who received the case studies in an email campaign. If the project discussed in the case study had to do with bridge construction, we did not send it to a contractor who built homes. Second, we began to post the case studies on social media on a regular basis. We knew from our analytics that there were a lot of entry level people following the company's LinkedIn page, but we began to pay more attention to the demographics of the visitors to the page (those who looked on a regular basis, but had not chosen to follow the page.) We found that there were a lot of decision makers who regularly visited the LinkedIn page. This became another method to reach IMI's target market with their quality message through content. All of these case studies were selected and written to be targeted to a specific segment of IMI's customer base.